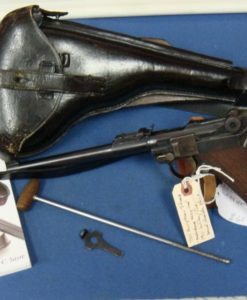 SOLD US WW2 COLT M1908 GENERAL OFFICERS PISTOL…WITH BOX AND COLT LETTER….VERY RARE AND SHARP! 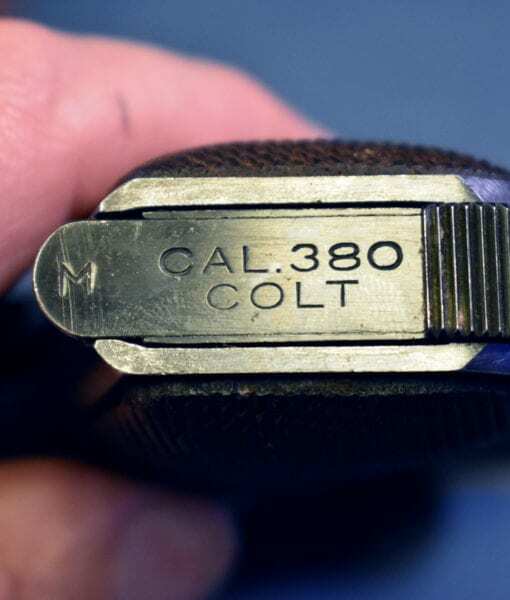 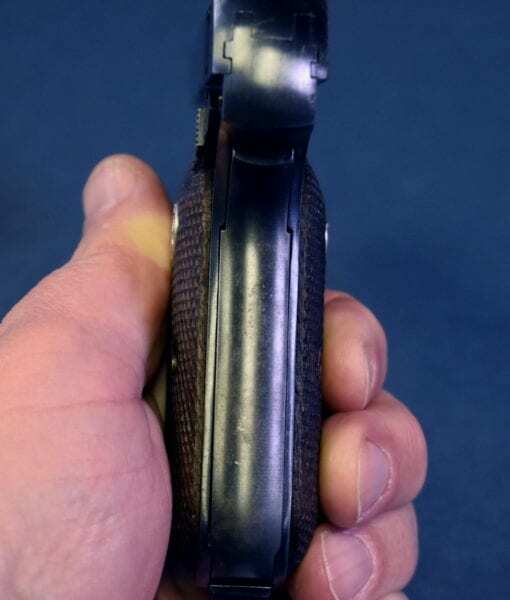 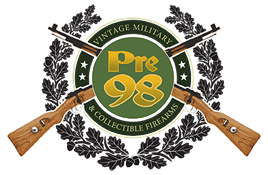 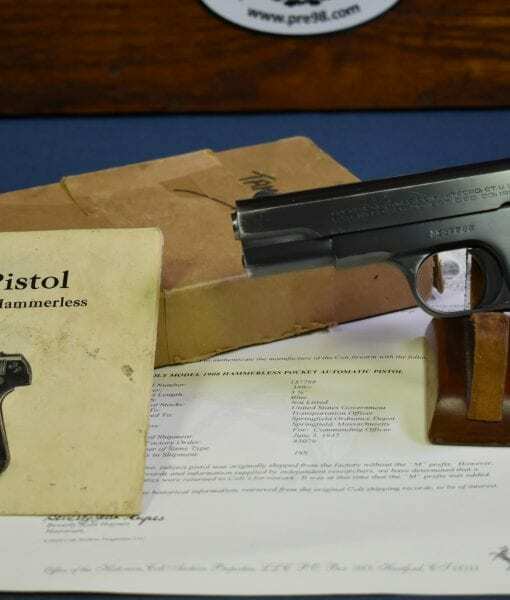 In 96% original very sharp condition, we have a very rare (only 3,115 so marked) US PROPERTY marked Colt 1908 Pocket Hammerless Pistol in .380 caliber. 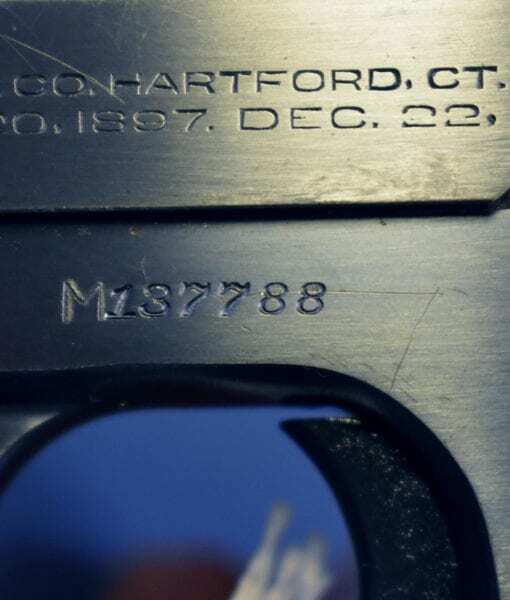 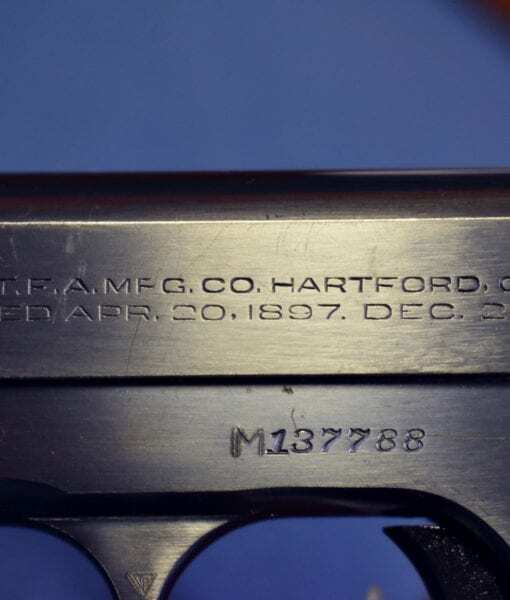 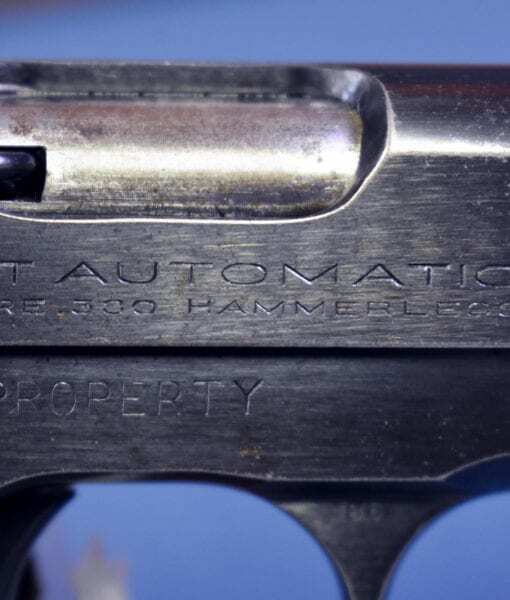 This pistol is US property marked and ordnance wheel stamped and is 100% correct and original. 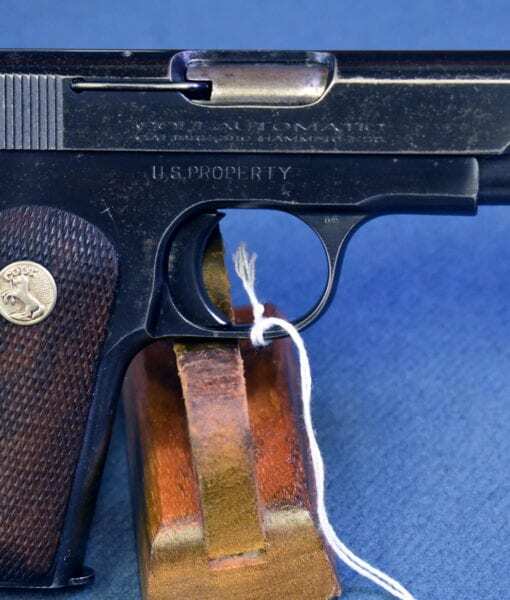 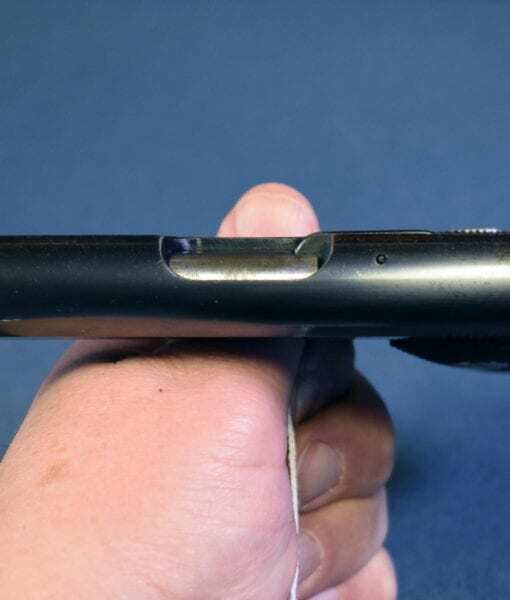 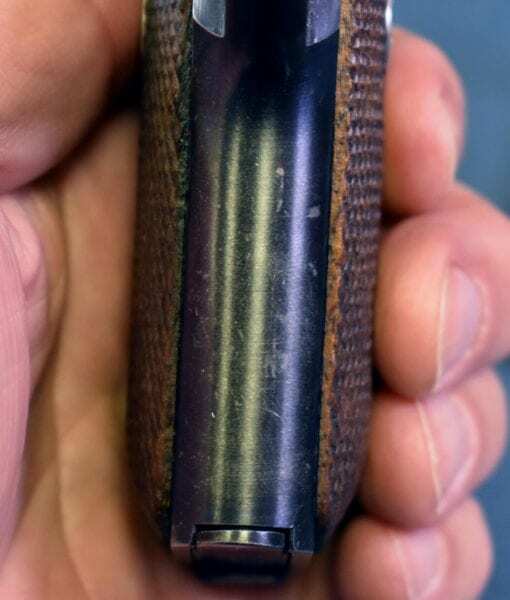 Collectors generally agree that these guns were primarily issued General Officers and to Naval Intelligence and it is very likely that this pistol was issued to a WW2 era General. 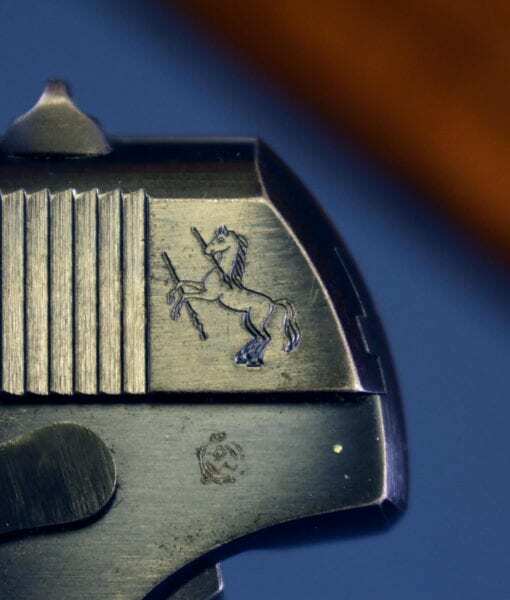 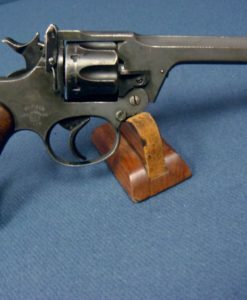 As there were only ever approximately 3,000 of these they are much rare than the US Property marked 1903 Colts. 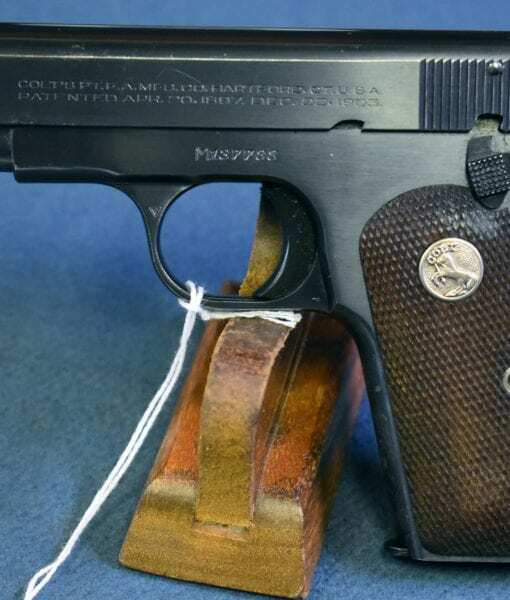 We buy every one we can get our hands on. 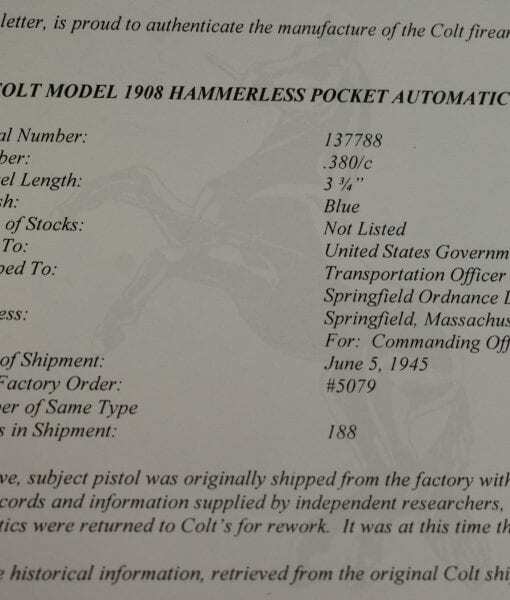 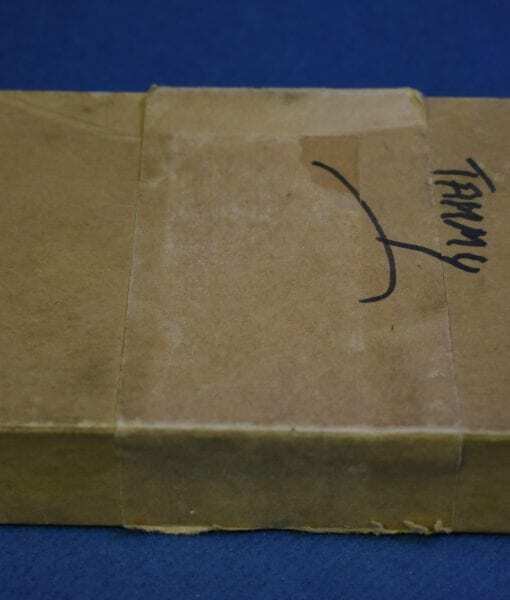 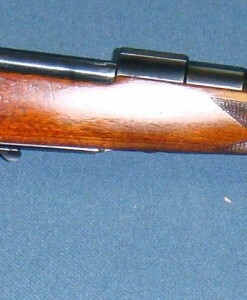 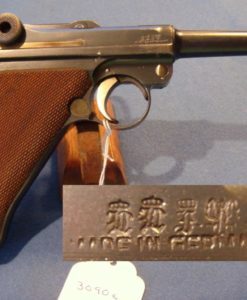 This comes with a Colt factory letter indicating shipment in November 1944.